Why some companies have multiple share classes and tickers, and considerations for investors when choosing among them. Q: I am still confused about GOOG and GOOGL. I know there is a difference, but what? Which to invest in? Karen Wallace, CFP® is Morningstar’s director of investor education. A: Your question is a timely one. At the end of July, S&P Dow Jones Indices announced it would no longer add companies with multiple share class structures to its S&P Composite 1500 Index and its component indexes, the S&P 600, S&P 500, and S&P 400. Existing index constituents are grandfathered in and will not affected by this change, meaning that existing multiple share class companies will be allowed to remain in the widely tracked S&P 500, such as Alphabet Inc A shares (GOOGL) and C shares (GOOG); Discovery Communications Inc C shares (DISCK) and A shares (DISCA); News Corp A shares (NWSA) and B shares (NWS); Twenty-First Century Fox Inc A shares (FOXA) and B shares (FOX); and Under Armour Inc A shares (UAA) and C shares (UA). Why do some companies have more than one share class? The difference between stock share classes comes down to voting rights. To find out about the voting rights associated with a company's stock share classes, an excellent resource is its annual report. Let's look at Google, which has two share classes available for purchase--class A common stock (GOOGL) and class C capital stock (GOOG). According to Alphabet's annual report, the A common stock, GOOGL, has one vote per share, while the class C capital stock, GOOG, has no voting rights. There is also a class B common stock, but you're unlikely to see it in the marketplace because it is owned almost entirely by Google's ruling triumvirate: executive chairman Eric Schmidt; Sergey Brin, co-founder of Google and president of parent company Alphabet; and Larry Page, co-founder of Google and CEO of Alphabet. The B shares are an attempt to ensure the company founders retain majority voting power; according to the most recent annual report, as of Dec. 31, 2016, Schmidt, Brin and Page owned approximately 92.4% of outstanding Class B common stock, which represented approximately 56.8% of the voting power. The annual report goes on to explain that these three executives therefore have "significant influence over management and affairs and over all matters requiring stockholder approval, including the election of directors and significant corporate transactions, such as a merger or other sale of our company or our assets, for the foreseeable future." Since the time of that share split, the voting A shares have traded at a slight premium to the nonvoting C shares, indicating that the market assigns some value to the voting rights, but not much. Equity analyst Ali Mogharabi points out that the movement of the two stocks is very highly correlated. "Since GOOG was introduced in April 2014, the correlation between GOOG and GOOGL movement has been 0.9988," he said. Mogharabi also points out that in terms of volatility, GOOGL appears to have been a bit more volatile than GOOG. "Depending on the investment style and/or time horizon, interested investors should take volatility into account, too," he said. The two share classes are similarly liquid, too: The average trading volume of the A shares is 1.9 million, not much different from the average trading volume of the C shares at 1.7 million. If the Alphabet B shares were available for purchase in the market, you would likely see much larger differences in price and trading volume than you do with GOOG and GOOGL, however. The well-known case of Berkshire Hathaway Inc A shares (BRK.A) versus B shares (BRK.B) is a good illustration of this: The A shares closed at US$270,430 on Aug. 23, while the B shares closed at US$179.98. The average trading volume of the B shares is 3.2 million, while the A shares are very thinly traded at just 337. According to the annual report, each Class A common share is entitled to one vote per share, whereas each Class B common share possesses voting rights equivalent to one-ten-thousandth (1/10,000) of the voting rights of a Class A share. Why do some stocks have no voting rights? Some investors are just along for the ride, such as investors in the A share class of Snap, which has no voting rights. In Snap's annual report, it is explained that Snap co-founder and CEO Evan Spiegel and co-founder and chief technology officer Robert Murphy together own a such a large concentration of Class C common stock (which is entitled to 10 votes per share) that these two men have approximately 88.5% of the voting power of Snap's outstanding capital stock. The Class A common stock, the one that investors can buy under the ticker SNAP, has no voting rights. Should you buy a stock with no voting rights? If you are considering purchasing a stock that has no voting rights, know that you won't have any influence over corporate matters, such as the election of board members or votes on mergers and acquisitions. But, of course, if you own shares in the company you are still entitled to a portion of the company's profits (or losses), voting rights or not. But even if you buy shares of a company that have voting rights, as an individual investor, you likely won't have a sufficient concentration of voting power to sway a vote's outcome. That's why it's important, whether investing in a stock with voting rights or not, to make sure you have the utmost confidence in the team running the company. Corporate management should be good stewards of investors' capital, and they should have a history of making smart capital allocation decisions. Morningstar equity analysts assign a corporate stewardship grade--exemplary, standard or poor--based on an assessment of companies' investment strategy, history of investment timing and valuation, financial leverage, dividend and share buyback policies, execution, management compensation, related party transactions and accounting practices. Stewardship is judged from an equity holder's prospective and on an absolute basis: Companies are judged not against peers within their industry, but against ideal stewardship of shareholder capital. Premium members can find a company's corporate stewardship grade on the Morningstar Analysis section of a stock's quote page. Is the flattening yield curve a cause for concern? 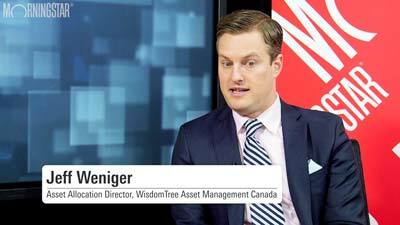 What does it take to have a $1-million RRSP?